The Dawn is a very special time of the day when all the darkness and negativity is purged from the natural world by the spread of the light bringing with it warmth, healing and re-birth to the world. In a similar way the Colours of the Dawn can bring healing and light into your life in a very beautiful, painless and natural way. The spiritual path of Reiki has no attached dogma or affiliation with any religion. As a part of the practice the student (healer) will share energies with other people bringing about healing on physical, emotional, mental and spiritual levels; a practice known as Reiki healing. The practice of Reiki can be learned by anyone and will in no way clash with any religious or spiritual practices, if any, that they may already be following. There is nothing that you have to believe. After over 18 years practicing Reiki I am heading for retirement. I will continue to offer my services to all exsisting students and Reiki healing clients but I do not intend to take on any new students or clients. Due to this I would like to refer any new enquiries to one of my highly recommended master/teacher graduates named below, all of whom offer excellent services of the highest quality. You will be in very good hands. working from her treatment room at St Quentin Close, Bradway, Sheffield. "I am also a Medium who performs on the podium and an Empath, Claivoyant, Clairsentient Psychic . I am available for private readings, telephone readings and group parties. I also offer courses in meditation, psychic development and lessons in Tarot card reading"
Louise says,"My name is Louise and I am qualified Reiki Master/Teacher. I work from my Reiki Studio in Bentley, Doncaster. I am also a qualified meditation teacher and offer both group sessions and private one on one meditation sessions. I am currently working towards a Crystal practitioners accreditation and will be offering Crystal Reiki as well as stand alone Crystal therapy sessions in the future." trading name: Purple Rose Reiki. Geraldine says, "Richard taught me the joys of Reiki mastery, after 10 years of self healing and surviving two strokes I now feel able to offer Reiki treatment and training to others in a peaceful semi-rural setting. My background is within the academic world of science together with fundraising for charity". 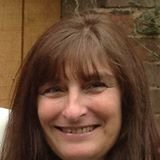 I would like to also introduce you to Tricia who has trained with me in Reiki and who offers some unique services. working online and in Sheffield. "Tricia says: I�m an Empath, Clairvoyant & Clairsentient. I blend spirituality and science to uncover causes of dis-ease and promote health, using techniques including muscle testing (Meta-Kinetics), EFT, working with the head, heart & gut intelligences (mBIT) and analysis of what emotions and beliefs are creating dis-ease (META-Health)." "I offer courses in using mBIT - multiple Brain Integration Techniques and Mind Calm Meditation"